Are you new to your business and want to know the most effective ways to market your business? Here’s 5 tips to market your nursing business now, with a recommendation at the end for even better results with your marketing plan. 1. 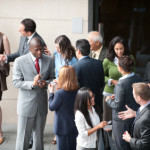 Network– Go to those events in your industry, but also seek out like minded people and your prospects on social media sites like Twitter, Facebook and LinkedIn. Get comfortable with doing this, it can easily skyrocket your business and networking with those in your industry could lead to partnerships or joint ventures. 2. Business Cards– Yes, they still work in today’s business world. Use often and use all the space available, front and back. Share tips or list what benefits you give to your customers. Leave them everywhere, on bulletin boards, when leaving a tip at a restaurants, with neighbors, you never know who someone knows. And if someone gives you a business card, put it into your contacts as soon as possible. What I like to do with business cards is when I get home I look that person up on social media sites and connect with them, and depending how well the conversation went I may send them a short follow up message. 3. Hang out – Go where your prospective clients hang out and I’m talking about where they hang out online. This could be on forums, in Facebook or LinkedIn groups. Knowing where your prospects hangs out will make your marketing so much easier. Instead of struggling to get traffic to your site, go where they are and get to know them. This is a great way to find out what their needs are and then give it to them. 4. Email signature– Add this to every email you send out even if it’s to family and friends. Make it short and a link back to your website offering a free report for signing up to your newsletter. 5. Free short reports– Write short reports on your topic and include your website URL at the bottom so people can get back to your site. It could be a how-to short guide, tips sheet, checklists and so on. Give the information your prospects our looking for. It’s all about becoming as visible as possible to your prospects. And the more you do it,the more comfortable you’ll get with marketing. But if you’re someone who hates the marketing side of your business then I strongly suggest you hire someone to help you with your marketing, its so important for the growth of your business. This is one of the biggest lessons I’ve learned early on, but now I love marketing! With social media it has become so much easier to connect and build relationships with my prospects and those in my industry.